If you are renting or leasing a property, you may assume that your landlord’s insurance protects you and your belongings, right? Well, not necessarily. You should never assume that you are insured unless you have been specifically told otherwise or have your own policy. This is especially important if you are living on someone else’s property. While the owner has the actual structure you are living in insured, this protection doesn't crossover onto your personal possessions. Renter’s insurance provides coverage that is similar to homeowner’s insurance but doesn’t protect the actual dwelling on the property. If damage is caused by you, such as a fire, your landlord (and any other tenants who are affected by the incident) may have grounds to sue you for damage inflicted on their property. 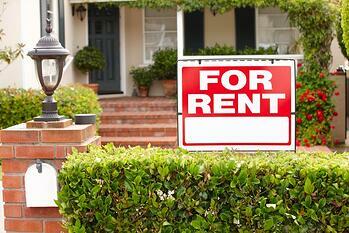 Renter's insurance can help bare the burden in that case. While renters aren’t mandated by law to obtain this type of insurance, many landlords are beginning to require it as part of the lease agreement before they begin renting out to someone. To get renter's insurance, make a list of your belongings and calculate the value of these items to the best of your knowledge. It may also help to have photographs and videos of some of your more expensive items if you need to make a claim down the road. Once you've completed this, locate an agent in your area to get a quote. You may want to contact several as different agents carry different policies and coverage plans. Generally, renter's insurance is less expensive when compared to homeowner's insurance since it doesn't cover any structures on the property. Once you've found an agent and coverage that will work for you, sign the required documents and you're ready to go.